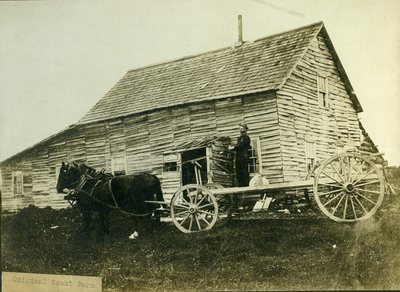 "Great Northern Paper Company Grant Farm "
This is a scanned image of a black and white photograph of a man posing with two horses in front of a small building. The caption on the photograph reads, "Original Grant Farm". The photograph is not dated.